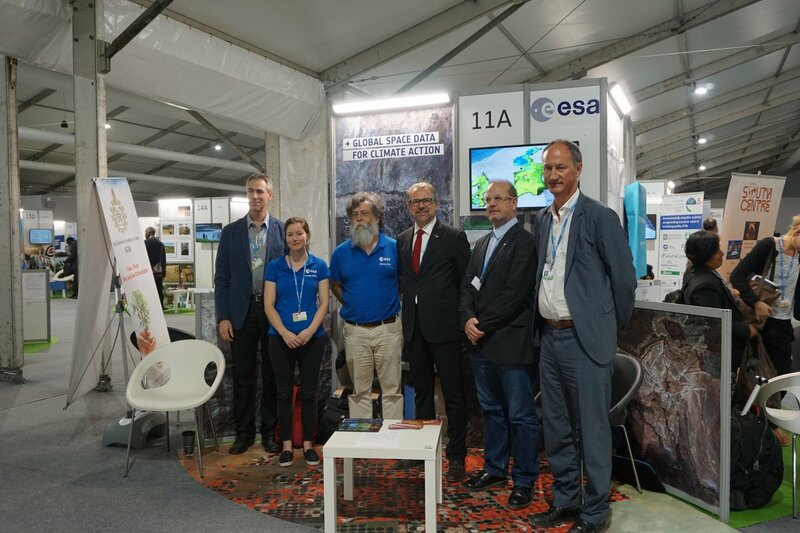 Several heads of space agencies from all over the globe held a meeting in Marrakech on the sidelines of COP22 to discuss the prospects for cooperation in the field of earth observation in the context of climate change. The event, held in the Moroccan pavilion on the side lines of COP22, was an opportunity for the heads of space agencies to reiterate resolve to support international efforts to implement the Paris Agreement, said a statement published on COP22 website (cop22.ma). The statement reported that Salaheddine Mezouar, President of COP22, highlighted the importance of the meeting, saying that data sharing between space agencies is key to understanding and countering climate change. He urged data sharing and adequate funding to developing states to support their endeavor to adapt to climate change, and said satellite agencies can help small island states develop an efficient early warning system for environmental risks. For her part, French Minister of the Environment and President of the COP 21, Ségolène Royal, said that the meeting is one of the most important side events at COP22 as it aims at facilitating an international independent data collection and sharing system in order to back climate adaptation efforts. He said space technology, notably in terms of earth observation satellites, should be geared towards assisting the decision making process, noting that satellite monitoring of the planet puts technology at the service of achieving climate resilience. In this respect, Loudiyi called for improving the access of African countries to satellite services to help them develop climate resilience plans. In the same vein, head of the French National Centre for Space Studies (CENS) indicated that satellite monitoring will help ensure that commitments under the Paris Agreement are upheld by sharing maps of greenhouse gas emissions. Held by Morocco’s Royal Centre for Remote Sensing (CRTS), the Royal Center for Spatial Studies and Research (CRERS) and the French CNES, the event brought together heads of space agencies from several countries including Morocco, Germany, Italy, the UAE, Mexico and Norway as well as the President of the Committee on Earth Observation Satellites (CEOS) and the director of the United Nations Office for Outer Space Affairs (UNOOSA). Written by: Peter Mulvany on November 14, 2016. Posted by Peter Mulvany on Nov 14 2016. Filed under Headlines, World News. You can follow any responses to this entry through the RSS 2.0. Both comments and pings are currently closed.